Hello everyone. Today's update has a little bit less to do about makeup and a little more about true beauty, strength of the spirit, and real life. I know I don't always go into my personal life here on the blog but every now and then I feel compelled to speak about things that are pressing on my heart and it seems the season has come to spread some branches out and grow. The last couple of months for me have been rather life-changing. As you know, I had an amazing whirlwind of a trip with my family and husband to South Korea in May where I got to share with him the roots of my family and culture. I feel like it was such a God-blessed trip that it could happen at all, but also that I got to share laughter and tears with relatives I hadn't been able to see in 8 years and also hold my own meetup in Seoul which I anticipated maybe 20 people to show up. I never expected that in a foreign, non-English speaking country that 5 times that number would arrive instead. I was utterly speechless with appreciation and overwhelmed to tears at the thought of each person taking time out of their day to meet me, someone who does nothing more than type on a computer and talk to a lonely camera in her living room. Although embarrassing, my tears were because I felt very loved and unworthy in that moment. 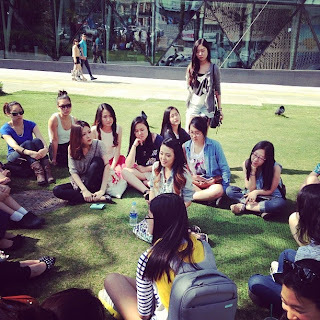 In juxtaposition to all of the new experiences of Korea, it was then that I also found out that my sister, only 2.5 years older than me, was diagnosed with Adenocarcinoma (glandular cancer) which was in its early stages but had an aggressive onset in a very short period of time in my sister's case. Since we've been back to the US, she has faced 2 major surgeries. Obviously for being so young and beautiful, this came as such a shock with great emotional turmoil for my entire family. At nearly the same time, my husband Ben found out that his father was also diagnosed with prostate cancer, the same cancer that Ben's grandfather on his mom's side just passed away from last year. Again, it was alarming to find that in someone so young and healthy. My father-in-law is an avid cyclist and has always been a wonderful example of what a father should be in body, mind, and spirit. He went into major surgery on the same morning as my sister, thousands of miles away. The mental and emotional burden of everything we experienced must have been too much for me because a couple days after both had surgery, I came down with fevers, body aches, and a cough which I am only now recovering from. 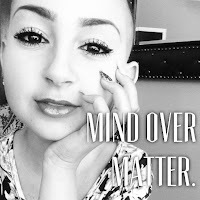 Most days I was weak and delirious in bed, I would check Facebook Angels For Talia to see how Talia Castillano, also known as Taliajoy18 on youtube, has been doing. 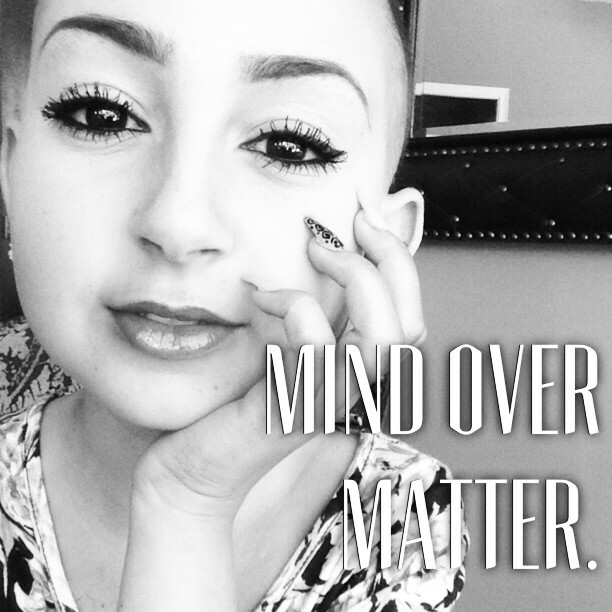 If you haven't heard of Talia, she is an amazingly brave and vivacious 13-year old makeup enthusiast, artist, and Youtube beauty guru who battled multiple types of cancers for 6 years. I had the honor of meeting her earlier this year and I was blown away by her vibrancy and humbled to find we were mutual fans of each other. We talked about fashion, being petite and how that makes people see you, and how she reminds me of myself not only when I was younger but also the person I am now. Such a lifetime had already been bottled into that little girl, it really leaves you impacted on so many levels. I've found out that Talia has joined the angels in Heaven today (Tuesday July 16th as I'm writing this blog entry) after fulfilling her purpose here on Earth and touching and inspiring countless numbers of people. In lieu of all that has happened in my own life, I can't help but feel great depths of emotions ranging from a deep sadness that we've lost a beautiful human, to relief that she's no longer in the pain and suffering that she'd fought especially hard in the last 6 months, to an intense determination to spread the message to love harder. There are always horrible things happening everyday. Things that are unfair and wrong and have no answers. The only conclusion that we can come to is not that we can fix those things or to justify them, but instead we have to focus on loving those who need it to make up for all the unfairness out there. To love deeply, desperately, generously, and selflessly. It's easy to see snippets of other people's lives and think that they live such an enchanted existence, but the reality of the matter is that we are all faced with truths in life that slap us in the face and remind us what is really important: to love those we encounter and touch each other's lives one by one. Lets all actively love out loud, for Talia, for my sister, my father in law, for everyone who has had sickness, heartache, or loss. Be humble, give grace, love deeply - my purpose and yours. I have always enjoyed reading your blog, but this post is exceptionally touching. 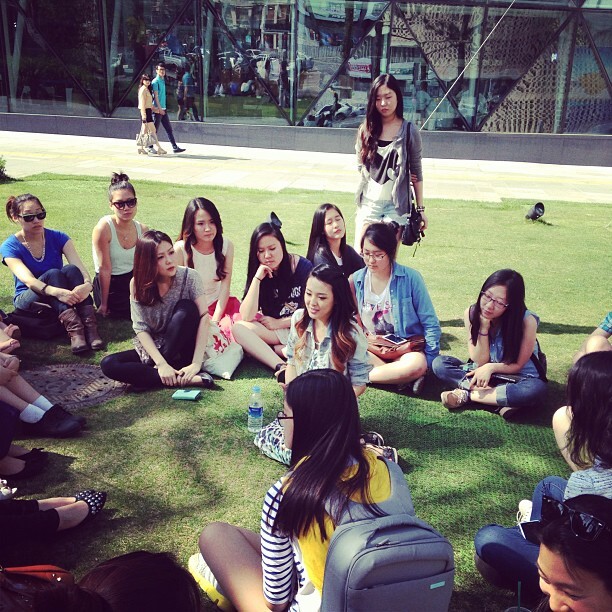 Thank you so much for sharing what you shared, we all appreciate your posts and find them helpful. i almost cried reading this post! i was watching all of Talia's video yesterday and minutes later got an update that she passed away i was really shock but i am glad that she is in no pain now. lots of love all the way from malaysia! this post is sooo touching :c RIP Talia and my prayers goes to your sister and father in-law. Oh, sweet lady, my heart goes out to you and your family, Talia and her family...anyone who has been affected by loss or grief. Tragedy and heartbreak seems to be everywhere right now. I come from a small town where everyone knows everyone, and just last week we lost 19 brothers, friends, fathers and sons to a horrible fire; my Mom's best friend just found out that her breast cancer is back after having a double mastectomy 3 years ago and being in remission; my Mom's brother has a very aggressive form of skin cancer that has metastasized in other parts of his body; an old friend of mine just found a softball sized tumor in his upper leg after battling cancer and 19 operations before having his leg amputated (at the age of 20). So, so much sadness and heartbreak right now. I have never commented on your blog, though I've followed you religiously for 4 years now. But I felt really compelled and moved by your post. I just want you to know that there are people sending positive energy and prayers your way. We will all make it through together, through love, compassion and unity. Thank you for the incredible reminder. Lovely how you describe your father in law. Description matches my father in every word. I've lost my father almost a year ago, seems just like a month ago. Miss him every day. RIP Talia. It's heartbreaking that someone like her has to go, but finally the pain is gone and she's an angel now! This post touched me in ways that words cannot describe. keeping your family in my thoughts and prayers. 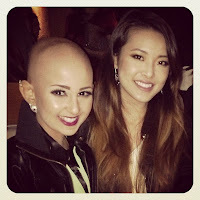 i'm sad I never got the chance to meet the wonder that is Talia but am relieved she is no longer suffering. My thoughts are with you and your family. Hang in there! Thanks for the inspirational post. Sending my prayers to your sister and father-in-law. Stay strong! Jen--my prayers and thoughts go out to you and your family. It's hard to talk about personal things especially on the interweb. I wish that I had gotten to know Talia a little more, but glad that she is no longer suffering. Hope all is well and stay strong! Your courage and strength in midst of such adversity inspires me to be strong as well. My grandfather was recently diagnosed with cancer also, and it has had a tough toll on my family. Your ability to take such hard times and turn them into something encouraging for others is amazing. My prayers go out to you and your family. Deeply sorry to hear about the troubles that people who are dear to you have to go through at this moment in time. Just remember, your sister and father-in-law will need your strength at times when they don't have it, so chin up and wish you all the courage you will need. I'm sorry to hear about your family, Jen. Sending love from Chicago. Stay strong and courageous. Jen, you're so strong and brave. I'm deeply sorry to hear about the news of your sister and your father-in-law. My thoughts are with you and your family and wishing all the best. I hope things will prevail themselves in a positive manner. Thank you for this humbling and inspiring post. A heartfelt post.. stay strong..
Jen, sending positive and healing thoughts to you and your family. I have a friend who has been fighting cancer for the past few years, and although incredibly difficult, it reminds us how precious life truly is. Know that you have thousands of supporters cheering you on through good times and bad. Prayers for you and your family Jen. I love you so! And my heart is heavy with the loss of the much-beloved Talia. Your post is truly beautiful. Going to share. I am very sorry to hear about your sister and father-in-law. I hope they both make a speedy recovery. My thoughts and prayers are with you and your family. I've never commented before, but thank you for your tutorials and advice. Your blog has opened up a whole new world for me that I never knew existed. I hope that both your sister and father-in-law have a safe and quick recovery! Thanks for letting us get to know you more, you have many supporters that think the world of you. Stay strong! Hi, Jen. My name is Jane and I am a huge fan of you. Actually, my nephew had brain cancer. He was dignosed year ago. Fortunately, his body is clean now but still we have to keep eye on him. I really hope that your sister and father in law will get better soon. Stay healthy then you can be anywhere your precious family need you be there. Thanks for the post and also for the beautiful words to take the time to love those people around you. I will have positive thoughts and prayers for your family. Keep the faith. I am a breast cancer survivor coming up on my 10 year anniversary of being cancer free. I can relate to the feelings you all must be going through. I wish you all strength! Jen, you are such a down-to-earth and sweet person. Ever since I've been following your blog and channel you've always remained the same Jen and I deeply respect that. Thank you for taking the time to write in the midst of such difficulty. I too, have had my life touched by the devastation of cancer 7 years ago when I found out my mother was diagnosed with beast cancer. Thank God, my mom made it through and she now continues to be cancer free but my heart breaks for Talia's family and for yours and every time I see that another life has been affected by the pain and suffering that cancer brings. Thank you Jen for this post. This is a great truth we sometimes forget. The love and the joy of life is the most important. Thank you for remind us this today. This post was so touching. Thank you for sharing . I pray that your family has strength and peace and that your sister and father-in-law fully recover. I lost a really close friend of mines to cancer last month and he too was a young healthy person who had now really started to live his life only to find out his cancer was too far along to do much. But I know that he's in a better place and so is Talia. Rest their souls. I pray for my sister, Jen, right now. I cannot imagine to be in her shoes at this moment. Please give Jen and her family comfort and peace. I pray that you will bring healing upon her sister and father in law. Provide peace and strength as they fight this battle. Reveal to Jen and her family that they are not alone. We do not understand why things like this happen but pray that they can put their full trust in you. You're so inspiring. I really hope your sister and father-in-law gets better! There will always be a rainbow after the rain. I got a little bit teary reading this. Thank you for the post, and I hope your sister and father-in-law gets better. Best wishes! Thank you for sharing, Jen. I will be keeping your sis and father-in-law in prayers. I had initial stage of thyroid cancer 6 years ago too. It was considered a "fortunate" cancer as it was the easiest to treat. Nonetheless, I went through 2 surgeries and 2 radio-iodine treatments. The most important thing during that time was the support I felt from my family and friends. Made me treasure my loved ones and appreciate life more. Your support will mean a lot to them. I will pray for your sister and your father-in-law! How are your sister and father in law doing? The best vibes for you, for Ben and your entire family. Jen, I completely understand how you feel about your sister. My older brother(also young like your sister) had cancer, and I know how we the family suffer as much as them. I am 10000% sure your sister will recover as well as your father in law. God will give you and your family the strenght needed to pass thru this. I will keep you in all my prayers!!!. I also did not understand why these things happen, I would have never ever imagined it could have happen to my brother. He is all recovered now, and even though cancer was evil, it made us stronger and united our family even more; our love became 10000000 times stronger!. I know all the thoughts and feelings you must be having right now, I know how hard it is both emotionally and also physically. Your love will be the most important medicine that will help her in dealing with this. Sending tons of love your way Jen! Thanks to this post I just discovered young & incredible Talia. She was quiet of a girl it seems! I will remember this little angel, her energy & strength, every ime i feel blue or sad. I am also thinking about your family, sister and father in law. My uncle is now fighting with two cancers that the doctors discovered recently. All my warm toughts go to them. This post hits pretty close to home for me. I have 2 relatives who fought with cancers; an aunt on my dad's side had breast cancer and her husband had throat cancer. Fortunately, they both beat it and is in remission now. I was diagnosed with Hodgkin's Lymphoma in 2011 and went through rounds of difficult chemotherapy. I wanted to give up but I was surrounded by my parents and bf who encouraged me to stay strong and keep going. My bf lived in a different state at the time but flew over to be by my side when he found out I had cancer. I could tell that my parents was in worse pain than me when they saw me get weaker and more fragile with each round of treatment I went through. It really broke my heart. Now, I am currently in remission and I hope I will stay that way. Thank you Jen so much for your sharing. Stay strong and live happy! Thank you so much Jen for sharing, Inspired! Too Faced HQ Visit & "Pretty Rebel" Fall Release!